Review Ubuntu 15.10, Wily Werewolf, continues Canonical’s recent Ubuntu tradition of delivering, well, nothing earth shattering. There’s new scrollbars, borrowed from GNOME, a minor update for Unity, which is now at version 7.3.2, and an updated kernel with some new hardware support. What you won't find in this release are any major changes. It used to be that the x.10 releases were the time when things got experimental, sometimes for the better, as in the case of the Unity shell, which became the only option in 11.10 (technically Unity first showed up in 11.04, but that version still offered a GNOME fallback) and sometimes for the worse, as in the case of Amazon search results which first showed up in 12.10. This release has nothing like that. Canonical reports that: "The general theme for 15.10 on the desktop is one of bug fixes and incremental quality improvements." If you're a long-time Ubuntu user that might be a good thing. No news is good news. This is doubly true if you've been through the Windows 10 transition this year and systemd earlier this year and the Unity transition in the years before that in Linux. Arguably, no news really is good news if you just want to get some work done. Still, sometimes it's nice to have an update that turns everything upside down to see what happens. After all, if you don't like it you can always skip it. And yet for the lack of change, there's no reason to actually skip 15.10. The updates are minor enough that unless I happened to stare at the scrollbars it was hard to tell it apart from 15.04, running the two side by side in virtual machines. Those scrollbars are pretty much the only visual clue that you've updated. Canonical's homegrown version has been removed in favor of the GNOME scrollbars in GTK 3 applications (which accounts for the majority of Ubuntu apps). Canonical has done a little theme work to make them fit with the rest of Unity, but otherwise they're stock GNOME scrollbars. That means the handles are gone and the scroll target is therefore even narrower. The change also means that all the places stock GNOME scrollbars don't work - most notably Firefox - Unity's new scrollbars don't work either. That's no different than before, but it does serve as a stark and regular reminder of how much easier it is to use scrollbars that are always present in a predicable spot and wider than the pinpoint tip of a mouse cursor. On the brighter side, at least now you know that Unity 8 development isn't being slowed down because some poor Canonical developer has to spend all her time maintaining home grown scrollbar code. Other changes in 15.10 include a minor version number bump for Unity, which is now at 7.3.2. Unity has had many bugs fixed and gets a couple small, new features. The locally integrated menus - menu bars in the window title - which arrived in previous releases are also now available for unfocused windows. Canonical's release notes also say that there have been "a number of usability improvements to the dash." One welcome improvement along those lines is the ability to control the amount of delay before showing the Dash menu when you press the Alt key. To access the new setting you'll need to install the dconf-editor package, but once you do you'll see a new option under com > unity > show-menus-now-delay. By default it's set to 180 milliseconds, but if you frequently trigger this menu when you meant to alt-tab (but didn't get to tab quick enough), you can eliminate this problem by increasing the delay time. The usual suite of Ubuntu applications has been refreshed, most notably LibreOffice that’s now on the LibreOffice 5.x line. Other updated default apps include Firefox, version 41, Empathy, and Chromium updated to version 45. Ubuntu 15.10 also continues to update the various underlying GNOME bits to GNOME 3.16. Ubuntu 15.04 still used a surprising amount of GNOME 3.14 apps and libraries, but most of those have finally been updated to 3.16. The big exception to that is the Nautilus file browser, which Canonical heavily modifies in an effort to retain some functionality of a file browser. In 15.10 Nautilus is still at 3.14, though that looks positively modern next to Gedit, which is still dating from 3.10. 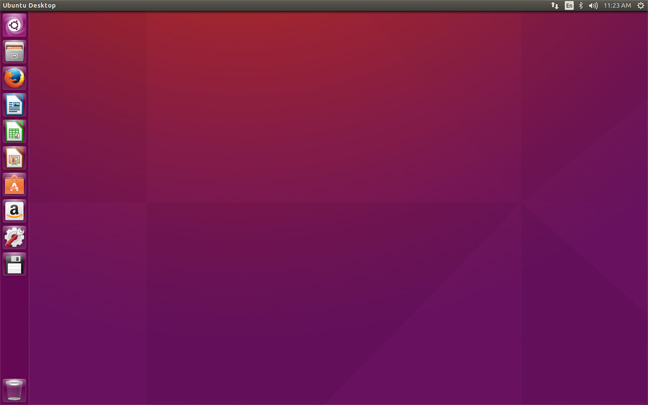 Deeper under the hood, Ubuntu 15.10 features the Canonical variant of the Linux Kernel 4.2, which is pulled from the upstream 4.2.1 Linux Kernel (this is true for all flavors, not just Unity). The update is notable for improved support of the recent Radeon GPUs and Intel's Broxton chips (which could end up in a future Ubuntu mobile device) along with some other hardware support updates. While the Unity version of Ubuntu doesn't have a lot going on right now, there is plenty of change afoot in some of the other official flavors. The biggest news in the Ubuntu universe right now is probably Kubuntu 15.10, which uses the hot-off-the-presses KDE Plasma 5.4 desktop. 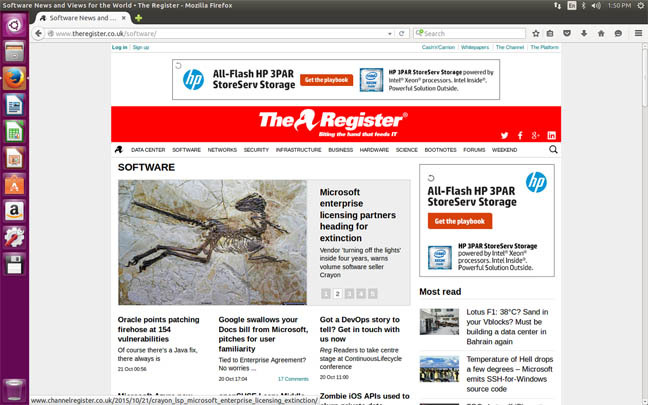 Among the updated applications in Ubuntu 15.10 is Firefox, now at version 41. Plasma 5.4 is huge update for KDE, bringing everything from preliminary Wayland support to smaller, but more noticeable changes like a nice new set of Plasma Widgets and improvements to KRunner, the revamped, extendible launcher in Plasma 5. The KDE team has also been finishing up work on the new "flat" look of Plasma 5. In my initial review of KDE 5 I mentioned that it was a bit rough around the edges with missing icons, the search field in the Kickoff app launcher was hard to discover and other little problems. As of 5.4 all that stuff has been fixed. There are some 1400 new icons, call consistent with the brighter, flatter design aesthetic that characterizes Plasma 5. There's also plenty of new things in Ubuntu GNOME, which has been updated to use GNOME 3.16, which offers a slightly lighter theme and - of course - scrollbars like those in the latest version of Unity. The rest of the Ubuntu flavors see minor updates and come with the same updated kernel found in 15.10 Unity.